The Delaney is where classic rebel style meets dainty. 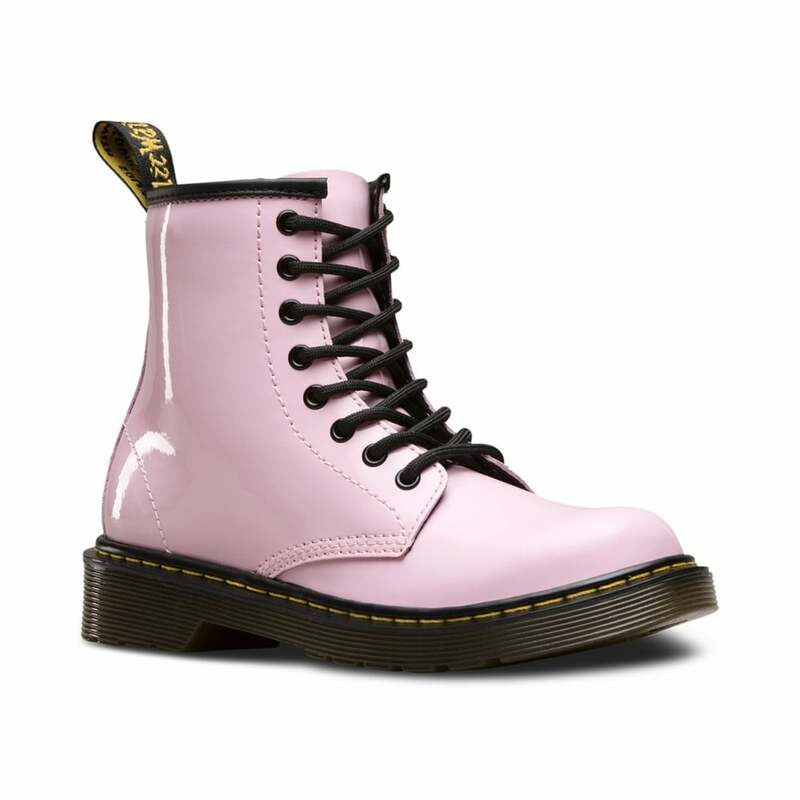 A pop of pink leather brings some straight up attitude to any day, while the Doc’s classic DNA—yellow stitching and side grooves—makes your little one the coolest kid on the playground. These tiny 8-eye kids boots come in patent lamper, a classic patent leather. The Delaney is based on the classic adult’s silhouette, but is made with a more flexible, cemented outsole to provide comfort for growing feet, and an easy-on, easy-off zip fastening perfect for little fingers (or tired parents).